Running your own business means you need to think about everything. We can take away the security headaches, leaving you to focus on everything else. According to the Federation of Small Businesses, around two out of three small businesses have been a victim of crime in one year, with the cost being on average £2900. CCTV not only protects your business, but it can protect your customers and staff as well. Modern systems offer incredible pictures and tape-free recording at very reasonable prices. It can be incredibly rewarding to manage your own business, but it can be risky, costly and difficult to stay afloat. Crime costs money, disrupts business and affects both customers and staff, turning success quickly into insolvency. We’ve grown from a start-up to become one of the South Coast’s largest security companies, so we know what it’s like. We will work with you to develop an effective security strategy that protects your business, staff and customers. We will then install a cost-effective system with the minimum of fuss. We’ll then be on hand to make sure things stay secure, and leave you to focus on the really important things, such as making sure money flows into your bank and not out of it. Property crime is expensive and can be extremely disruptive to your business. Selecting the right intruder system ensures you have the right protection against the right threats. Despite what others may think, you can’t be everywhere all the time. With our cameras however, they might think so. Modern CCTV is cheaper, greener and more powerful than it has ever been before. Our access control systems protect your business and staff by allowing you to decide who can enter your premises and when. And as door entries can be recorded, you can build up a picture of how your business operates. No matter how good your planning is, sometimes, unexpected things happen. A burglary that has shown a weakness, a spate of crime in the area can all lead to you needing to move quickly or a shut-down period may mean that you need additional security measures for a short period. Low cost and effective security for SMEs. A bell box with The Alarming Company logo tells burglars your business is properly protected. Our NSI accreditation means you can reduce the cost of business insurance. Professionally fitted, quality components reduce the risk of false alarms. Wire-free systems reduce disruption and allow for expansion. Fast, local and regional response. You may work very long hours, but even the hardest-working business owner can’t be around all of the time. 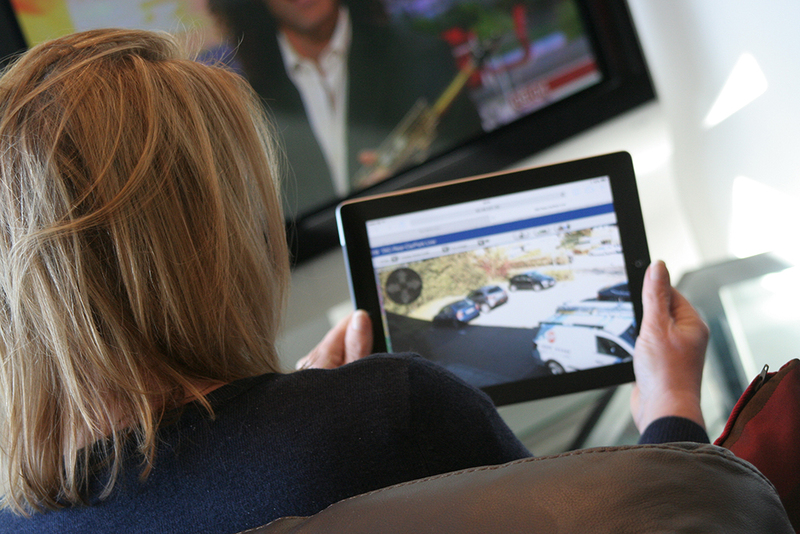 Our security systems let you monitor things when you’re not around. They protect staff and customers whilst our access control provides information on staff movements.